Amnesty causes border crossing to double!!! As the immigration reform Gang of Eight inside the Beltway prepares to announce a deal later this week, claiming border security will come before a path to citizenship for millions of illegals, Border Patrol agents have seen illegal border crossings double and warn the cutting of agent work hours will only result in less border security, not more. 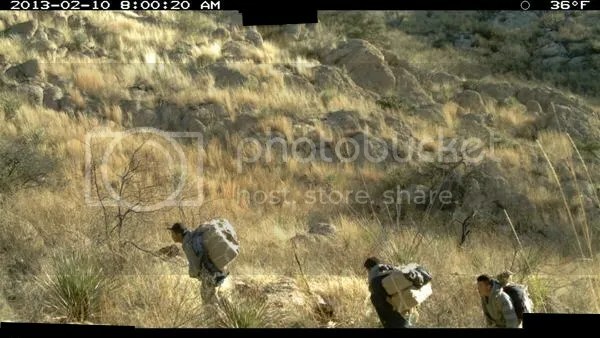 Data obtained by Townhall and reported within CBP from February 5 through March 1, 2013 shows 504 illegal aliens were spotted exploiting the Tucson/Nogales area, 189 were caught on CBP intelligence cameras. 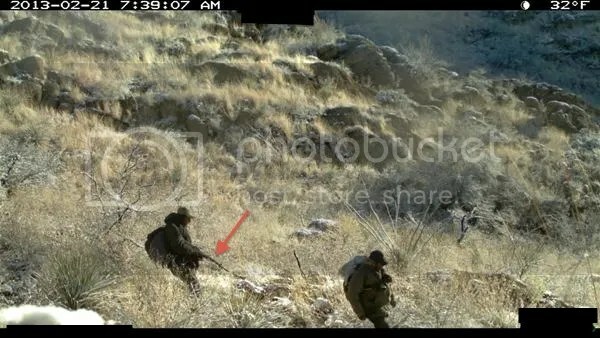 Of those 504, only 174 were apprehended and 32 of the 189 on camera were carrying large drug load packs for Mexican cartels. Some were armed with AK-47 style weapons. 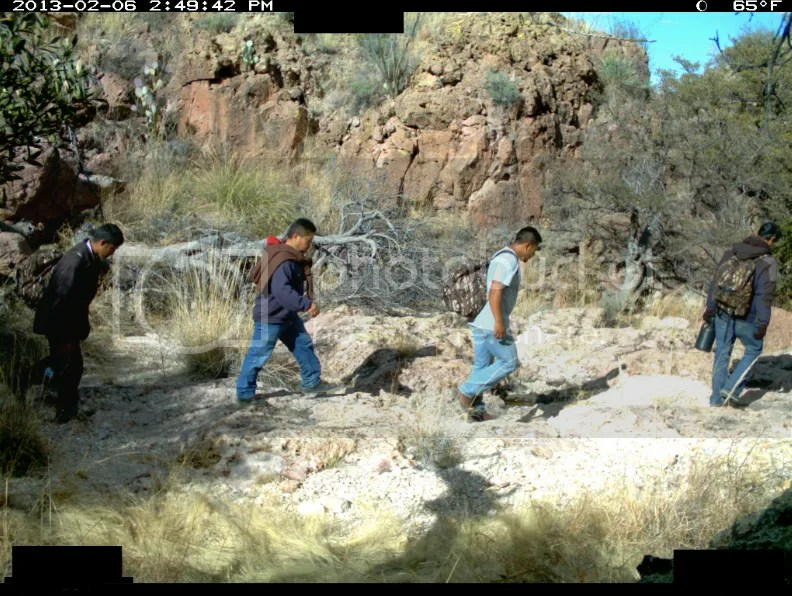 Below are selected photos obtained by Townhall from CBP intelligence cameras in Southern Arizona near the border with Mexico. Sensitive information has been redacted in order to protect the security and identity of the camera locations. Last week, Fox News reported sections of the border will soon become unpatrolled as hours for on-the-ground agents are cut. Townhall has learned Border Patrol agents working the border have been fully funded, yet internal political battles within CBP may be causing funds to be funneled to managers, rather than those getting their boots dirty on patrols. As sequestration goes into full effect April 7 and a deal in Washington on immigration reform gets locked in, illegal crossings are expected to get worse. “We have seen increased crossings and smuggling since word of staffing cuts began circulating. The illegals have even told us that is why they tried crossing. The border is safer but by no means secure,” Moran says. Another agent expressed the same sentiment, saying when apprehended, some illegal aliens ask where they can go to find amnesty. Despite border security being put further at risk through bad policy, the push for immigration reform well before full border security is ongoing. The AFL-CIO reached a deal with the U.S. Chamber of Commerce on a guest worker program late last Friday. Republican Senator Lindsey Graham said the Gang of Eight has reached a deal on immigration reform on CNN’s State of the Union over the weekend, but Republican Senator Marco Rubio has said reports of a deal are pre-mature.